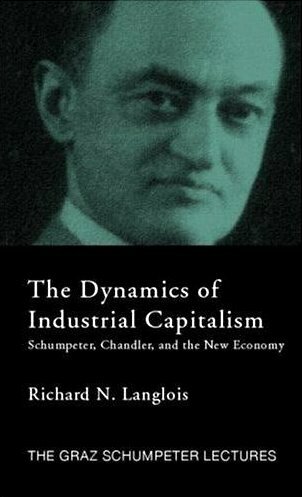 Lippman and Rumelt (1982), in the first formal theoretical paper inspired by the distinctive concerns of the strategy literature, demonstrate how superior performance can arise without assumptions of imperfect competition and market power, which are the defining features of the IO approach. In their model there are a large number of potential entrants that can pay a fixed cost to enter an industry. The key assumption is that there is imperfect imitability so that each entrant’s cost function is determined by an independent draw from a known distribution. In equilibrium, firms with bad draws exit and the remaining firms on average must have abnormal returns even when in the case where the firms are all small and have no market power. Ex ante however expected profits from entry are zero. The paper remains an outstanding example of high quality theorizing in strategy. Barney (1986) in his paper on strategic factor markets applies the same reasoning in his verbal argument that from an economics perspective superior performance must be the result of luck. L&$ also explain the background and context of their article in a new video. Kirzner’s theory of entrepreneurship is another example of a contribution intended to change the conversation in economics — by shifting attention from equilibrium states to adjustment processes — that seems to have little impact upon its intended audience, while becoming hugely influential in a different field (entrepreneurship). 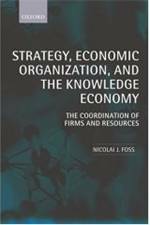 Entry filed under: - Klein -, Evolutionary Economics, History of Economic and Management Thought, Papers, Strategic Management, Theory of the Firm. Javanovic, which has some similarities to Lippman and Rumelt, had a more of an influence. (B. Jovanovic, Selection and the evolution of industry, Econometrica 50 (1982)). In particular, Pakes and Ericson did a series of papers developing some of Javanovic’s ideas (and giving a nod to Lippman and Rumelt). Thanks for bringing those two seminal events to everyone’s attention, Peter. It’s worth noting that there were ‘retrospectives’ on both of these momentous events this week @ the Atlanta Competitive Advantage Conference. On Tuesday afternoon, Sid Winter reflected at length on how ‘An Evolutionary Theory’ came to be and what happened in the years before it, beginning w/its genesis in 1969. He closed w/a plea for close collaboration between the fields of strategic management and finance. I work at the nexus of those two fields, so I was thrilled to hear his ringing support. Then, on Wednesday afternoon, Todd Zenger and Anne-Marie Knott (both UCLA vets) did a nice job, along w/a taped ‘appearance’ by Rumelt and Lipmann, of bringing out key aspects in the evolution of ‘uncertain imitability.’ Anne-Marie led one of Idie Kesner’s classroom exercises to illustrate equilibrium in the uncertain-imitability context. As usual, ACAC was a world-beater. Georgia State’s Bill Bogner and his colleagues do a breathtaking job each year of continuing the work that Rich Makadok of Emory first launched nine years ago. Anyone who’s not been at ACAC is really missing something.